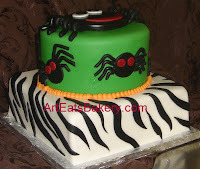 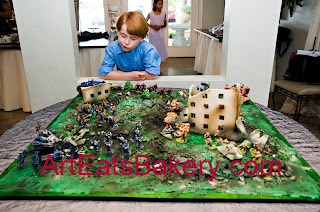 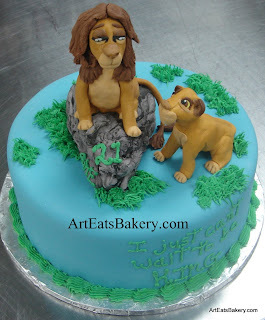 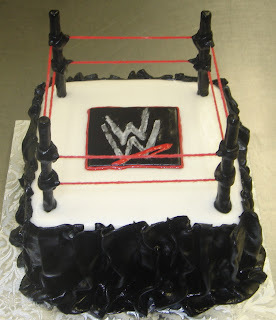 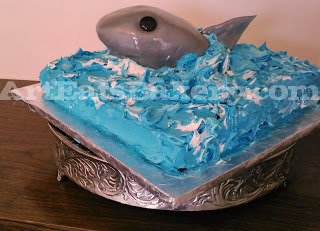 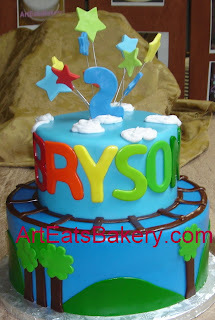 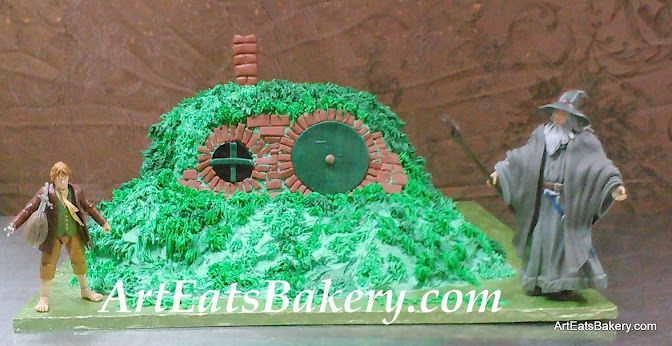 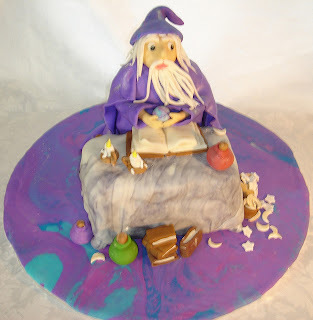 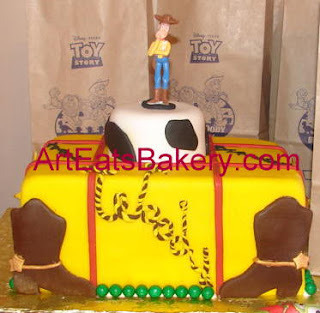 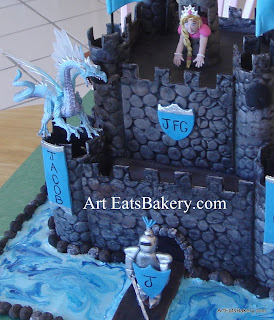 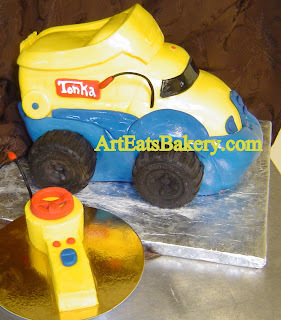 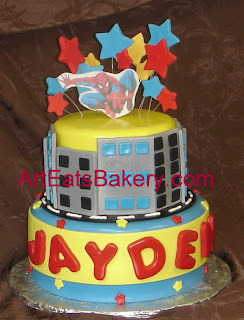 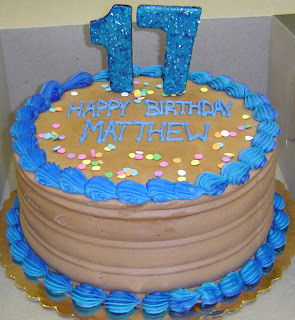 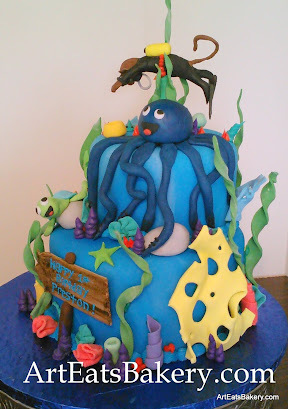 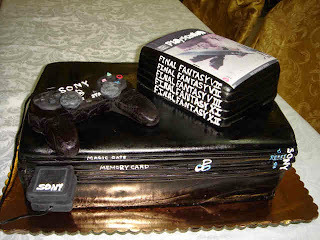 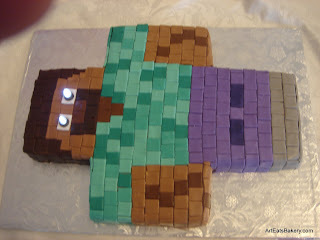 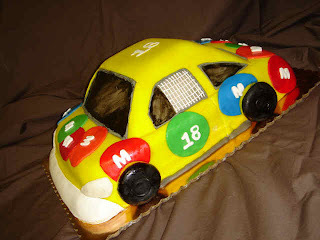 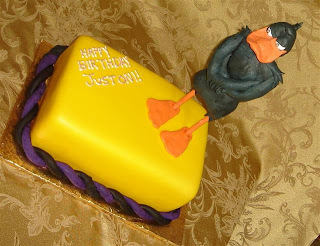 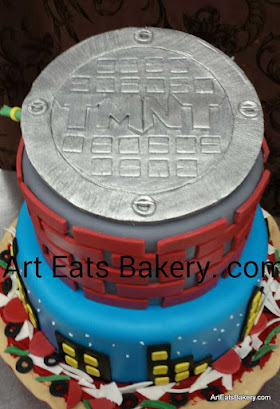 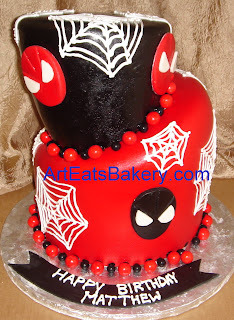 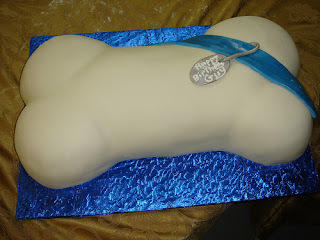 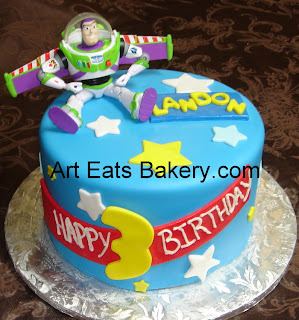 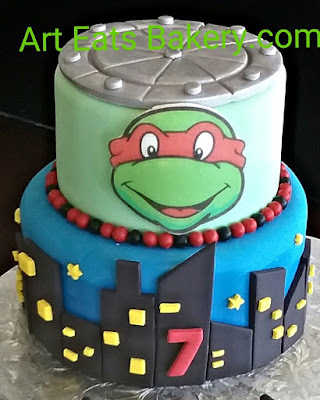 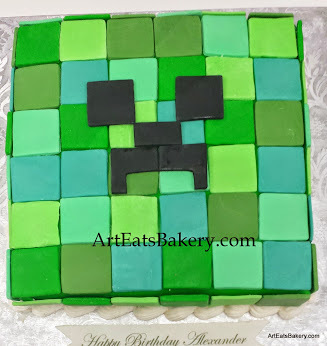 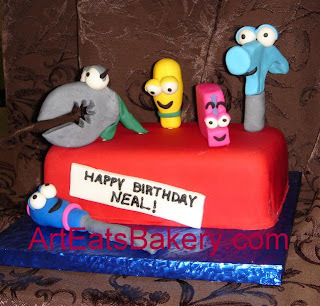 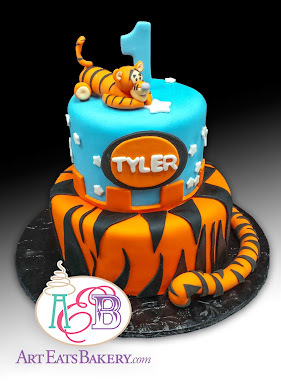 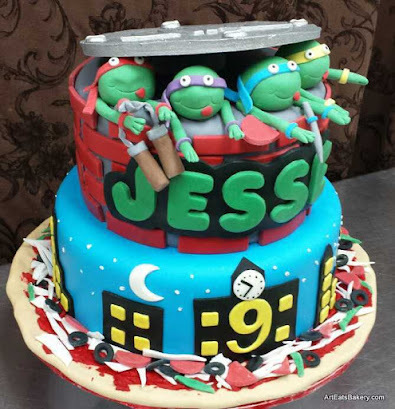 You will find mind blowing, fun and adventurous cakes for your birthday boy here. 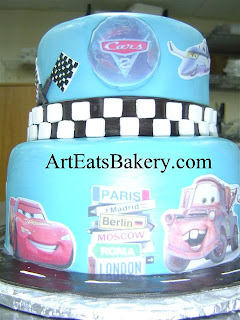 Some of our popular themes are LEGO, cars, Pixar Toy Story and Cars, pirates and trains. 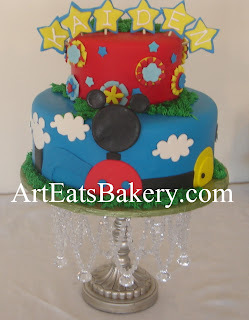 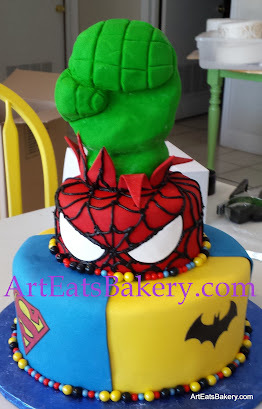 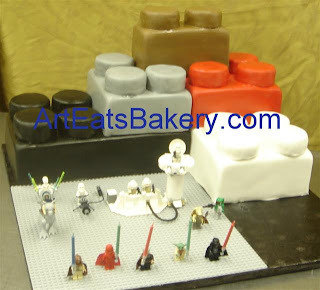 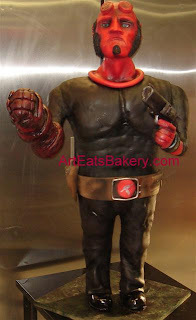 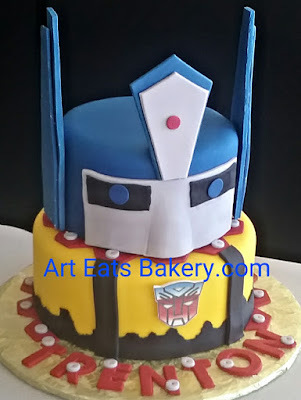 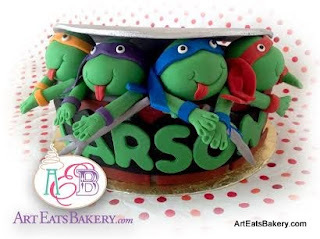 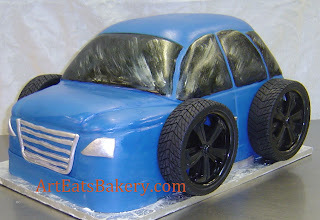 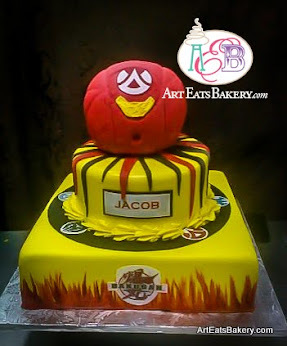 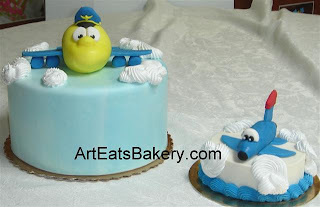 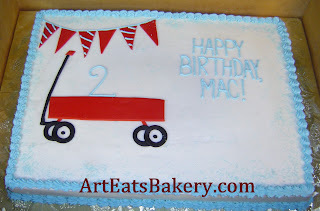 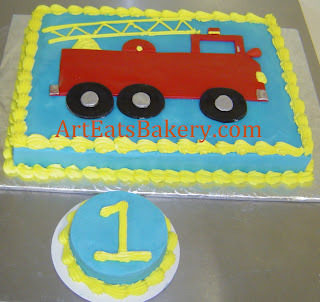 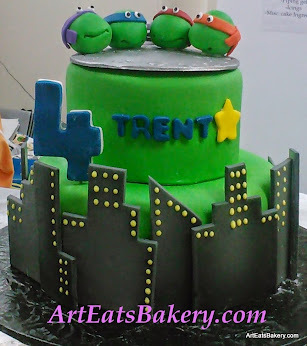 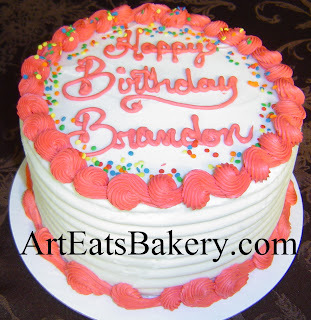 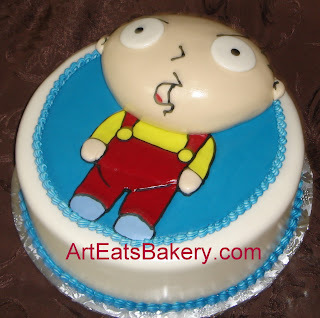 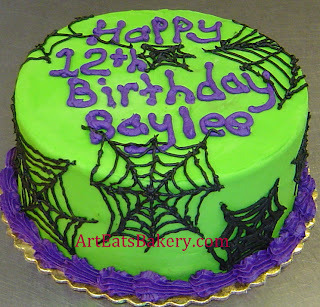 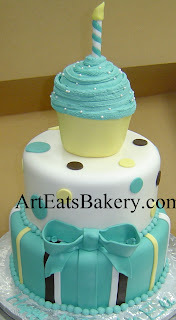 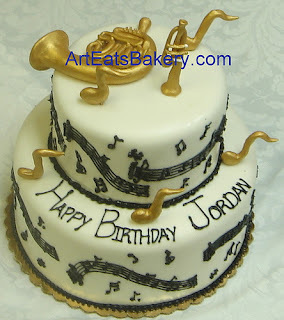 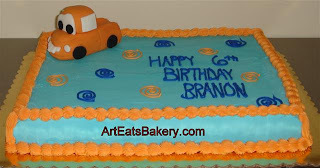 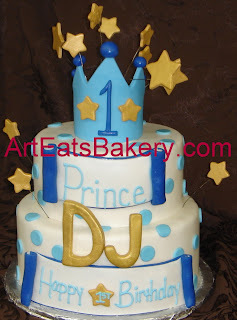 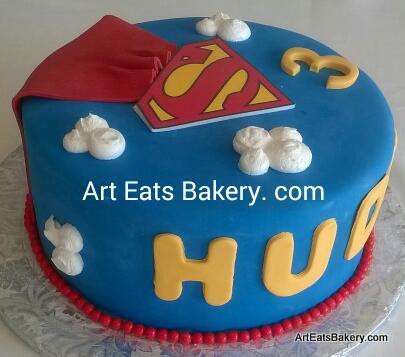 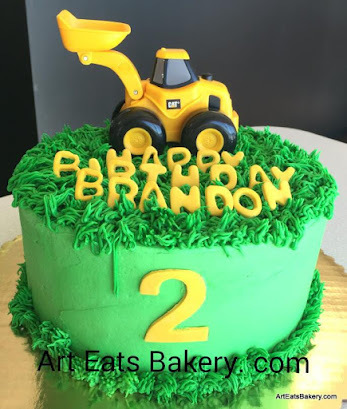 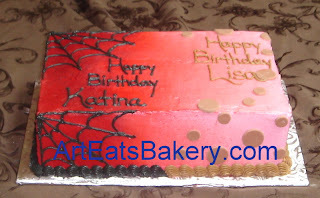 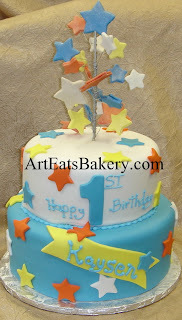 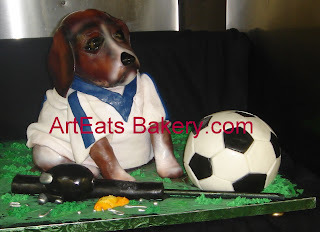 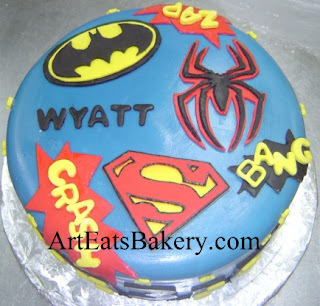 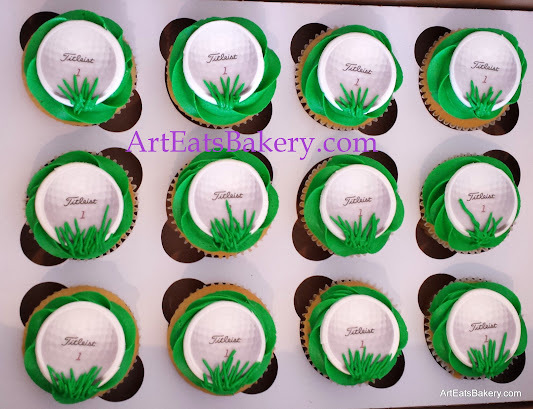 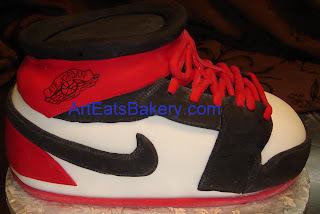 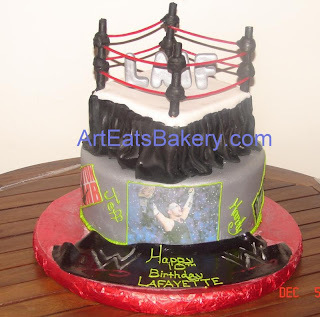 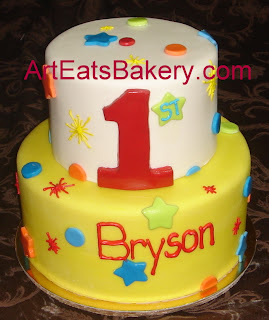 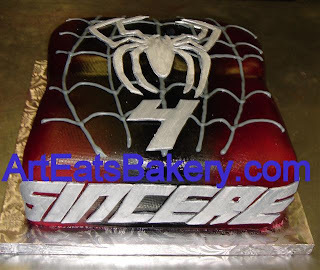 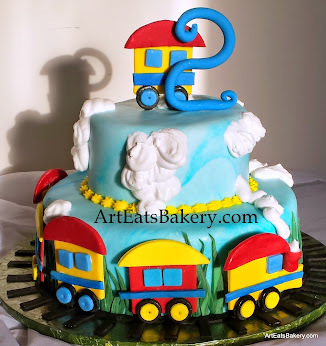 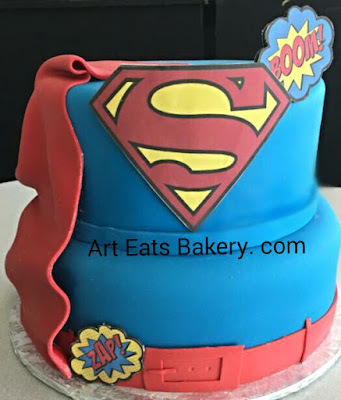 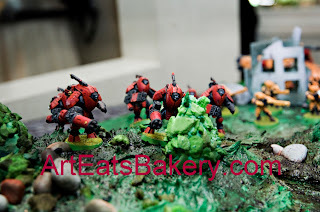 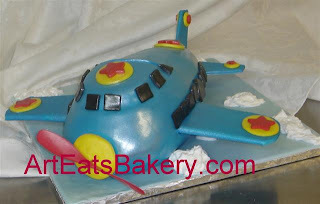 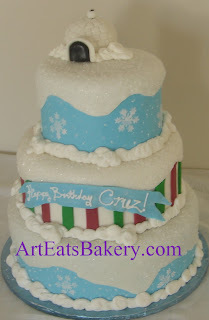 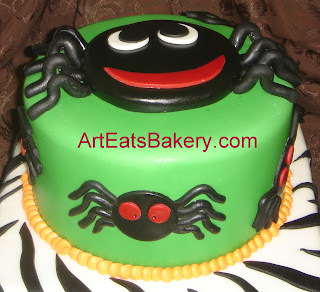 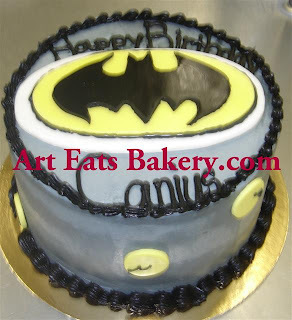 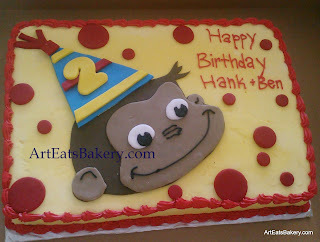 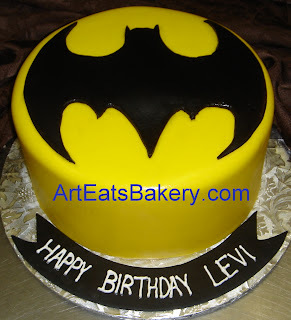 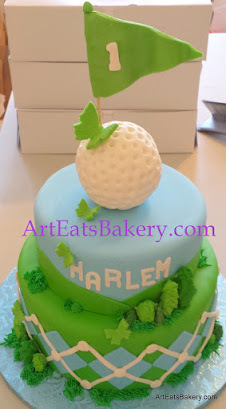 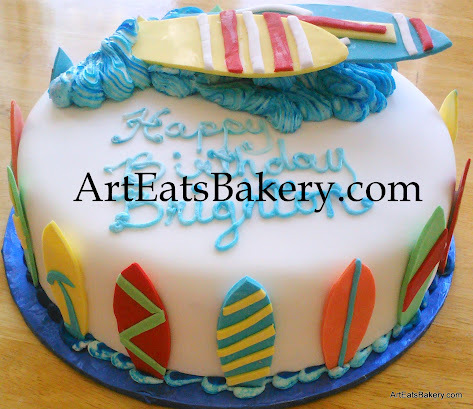 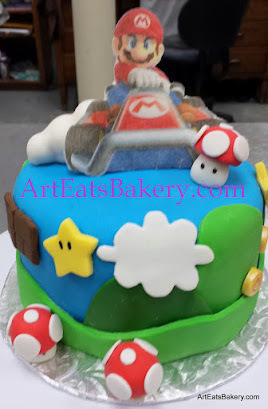 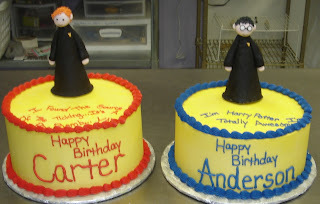 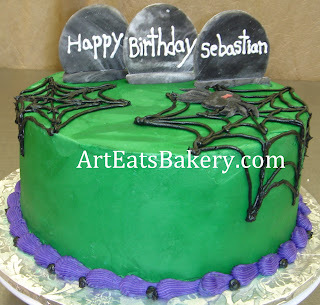 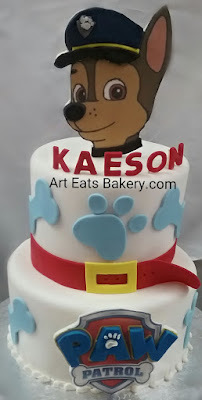 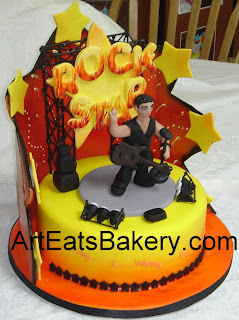 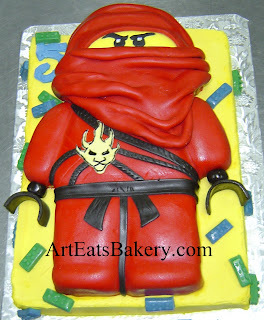 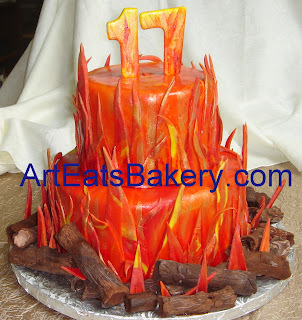 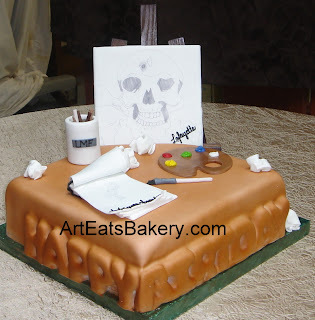 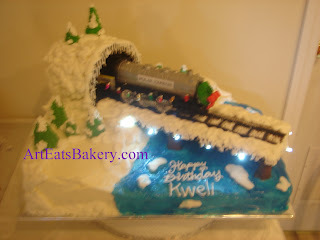 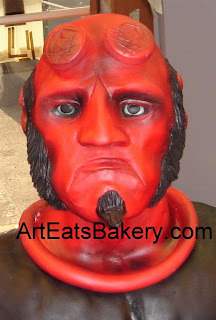 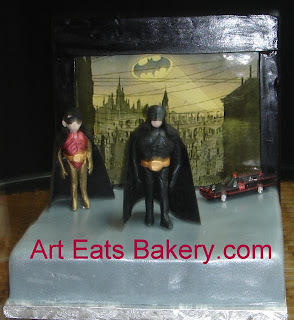 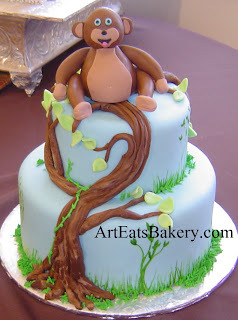 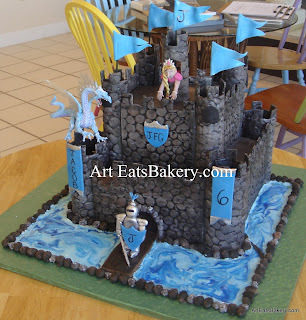 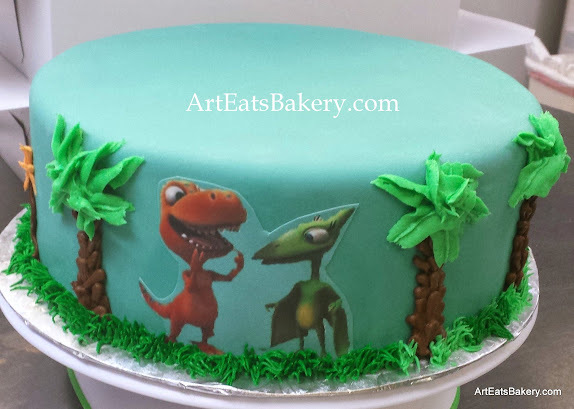 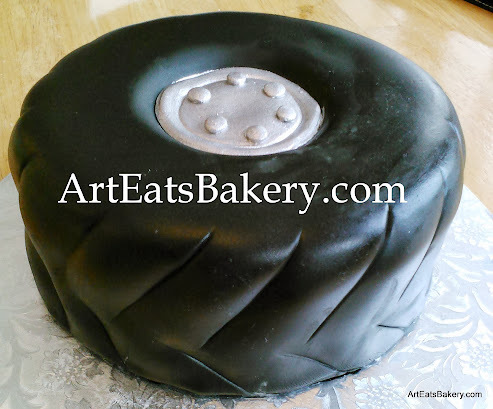 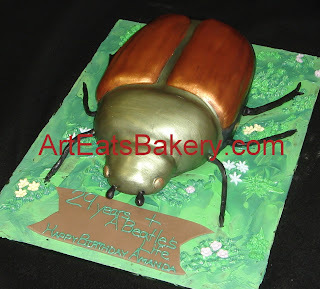 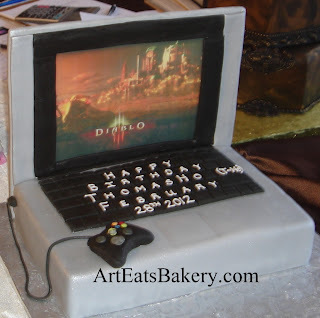 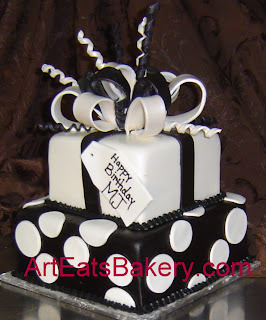 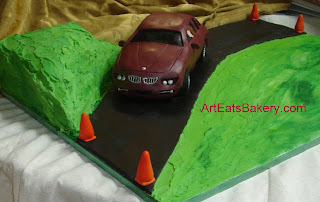 Art Eats Bakery can do ANY design you can think of, here are just a few ideas. 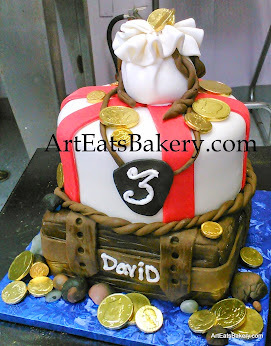 Custom island pirate boy's birthday cake with 3D fondant treasure chest filed with candy necklaces, Lifesavers and SweetTarts. 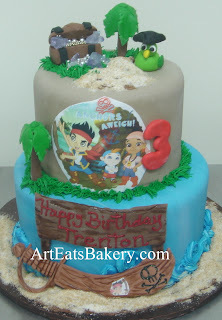 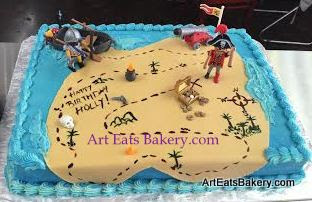 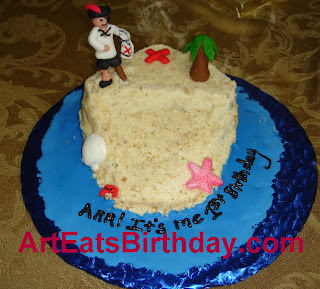 Separate island cake has sugar sand, palm tree and sugar character pirate. 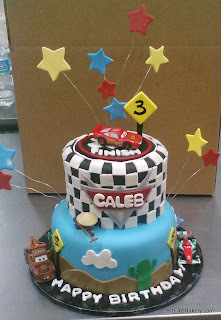 Custom fondant boy's birthday cake with 3D easel, cup, crumpled paper, tablet, pens, palette, and personalized artwork with embossed wording.